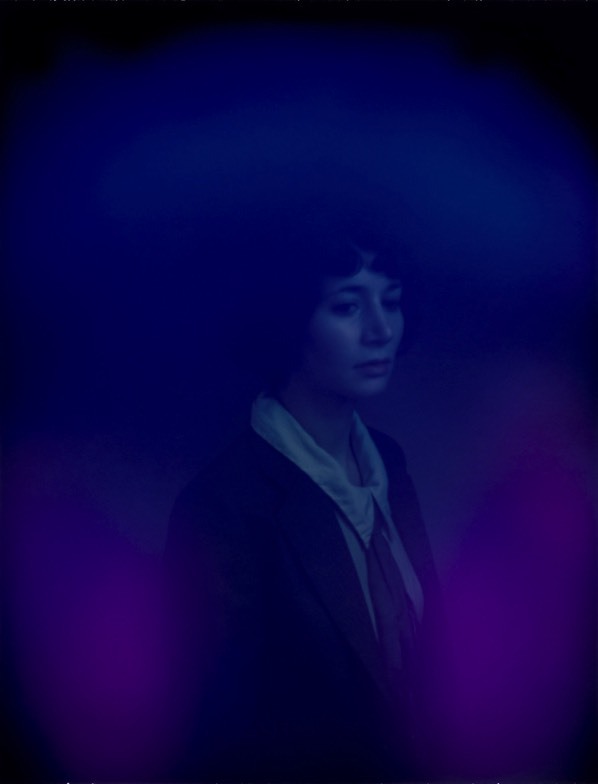 In his Portrait Machine Project, Van de Roer updates the 19th century fashion for “spirit photography,” in which the dead may be visualized through their spiritual auras. Scientists have mined this technique throughout the 20th century to chart emotional and psychological states of subjects under investigation. In these unique prints, the subject is photographed by a Polaroid camera with sensors attached to measure the subject’s electromagnetic biofeedback. This, in turn, produces the varied colored halos surrounding each body. Van de Roer chose only people he knew for this project, thus each aura reflects in some way his relationship to the sitter.